This is a sewing machine that’s attractive, yet durable, and built with all the options you could hope for, whether you’re a beginner or someone who has been stitching away for years. 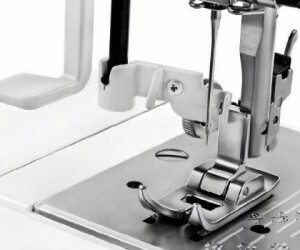 If you think your current sewing machine feels a little flimsy or weak, or if it does not hold up well to tougher sewing jobs, this machine is definitely worth a look. 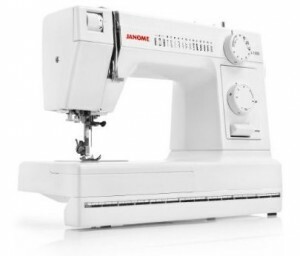 While some of the sewing machines in the Janome HD1000 Heavy-Duty Sewing Machine’s price range are more basic, the Janome HD1000 is anything but. This model has plenty of built-in stitches to handle a wide variety of sewing jobs, and it even includes utility stitches and stretch stitches. Most of the competing models can’t offer that kind of versatility, so it’s easy to see why the Janome HD1000 Heavy-Duty Sewing Machine is a favorite with people who are serious about making the most of their sewing time. The machine’s body is made out of cast aluminum, so it’s built to last for years to come. Comes with sewing accessories, like bobbins, felt, spare needles, screwdrivers, seam ripper hem guide, a soft cover, and much more. The Janome HD1000 Heavy-Duty Sewing Machine is a true workhorse of a sewing machine. 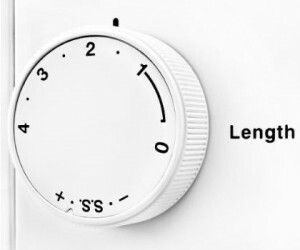 It’s not jazzed up with all of the electronic features or bells and whistles that some of the newer models have, but it’s made for non-stop, serious sewing of any nature. 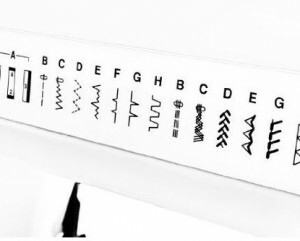 Whether you’re simply stitching a torn garment or fashioning a full line of your own designs, the Janome HD1000 Heavy-Duty Sewing Machine has the built-in stitching capability and power that you need. 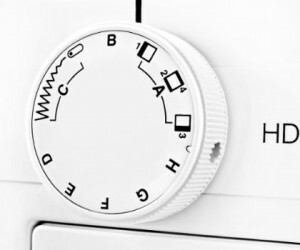 People that own this sewing machine say that it is heavy-duty enough to stitch heavier fabrics, something that many smaller machines might have some problems with. Larger sewing jobs will go very smoothly with this machine. Some people may call the Janome HD1000 Heavy-Duty Sewing Machine a throwback to the past, with its solid construction and focus on consistent performance, and those folks would be right. This is a true seamstress’ sewing machine, and the other companies just don’t build them like this anymore. Thankfully, though, Janome still does.